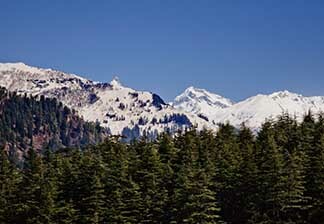 Set in the lap of the Garhwal Himalayas, Mussoorie has long been a popular tourist destination. Known as the ‘Queen of Hills’ on account of its verdant hills, pine woods, and flora and fauna, Mussoorie remains one of north India’s most coveted hill stations. Saunter through Landuor Bazar to reach Lal Tibba, the highest point in Mussoorie. 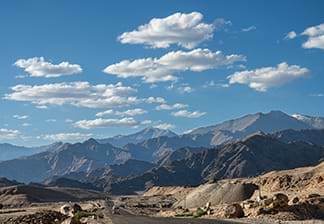 On a clear day, this spot offers spectacular views of the Nanda Devi and Sri Kanta peaks. Kempty Falls, located about 15 km from Mussoorie, is another charming spot. This is a fantastic place for contemplating the beauty of nature in the backdrop of cascading waters. Families with kids might consider dabbling in the man-made pool, built right next to the falls. For a slice of Mussoorie’s history, one must visit the Mussoorie Heritage Centre, a private enterprise showcasing the place’s heritage from the early 19th to the mid-20th century. Browse through books and magazines at the Cambridge Book Store, the oldest book shop in town. Alternately, visitors could indulge in boating at the Mussoorie Lake. Those seeking adventure could opt for adrenaline pumping activities such as paragliding, rappelling, and rock-climbing at Mussoorie. While the Mall Road is the most famous area for shopping and trying out mouthwatering grub, tourists can also head for the Tibetan Market, Kulri Bazaar, Library Bazaar and Landour Bazaar for relatively inexpensive woolens, antiques, handicrafts, and home-made jams and squashes. 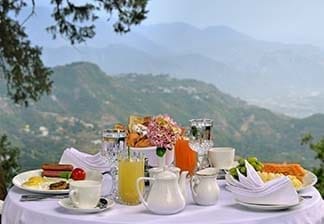 It is not hard to find nice resorts and hotels in Mussoorie of one’s choice. 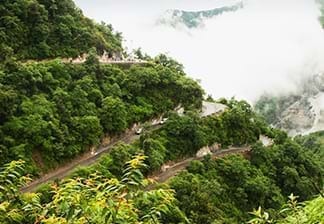 Other than offering tourists plenty to see and do, Mussoorie is easily accessible by road. This makes it a perfect weekend getaway for families, couples, and solo travelers. Mussoorie is undoubtedly one of the most enchanting destinations in India. With the lofty Himalayas towering over on one side and the spectacular Doon valley sprawling on the other, Mussoorie is indeed a traveler’s paradise.The picturesque view of the Nanda hills, the Sri Kanta peaks from the Lal Tibba, the Kempty falls and the Mussoorie lake underscore the landscape of Mussoorie with the best of nature’s beauty. The mall road and the rich architectural sights along it are some of the other popular tourist attractions of this charming town. 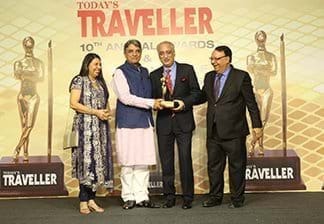 Some of the most popular hotels in Mussoorie include the Fortune Hotels offering the best of facilities and services to its guests.